Michael W. Charney is a military and imperial historian specializing in Southeast Asia in both the premodern and modern periods. He received his PhD at the University of Michigan in 1999. After two years as a postdoctoral research fellow with the Centre for Advanced Studies at the National University of Singapore (1999-2001), he joined SOAS. He was also appointed a project professor with the Institute for Advanced Studies on Asia at the University of Tokyo. Eaint Thiri Thu was born and raised in Myanmar. She has been working for the last seven years on issues related to human rights, conflicts, and the media in Myanmar, mainly in Rakhine, Shan, and Kachin States. She has worked with Human Rights Watch, The New York Times, Washington Post, Wall Street Journal, BBC, and other international organizations. She contributed to the U.S. 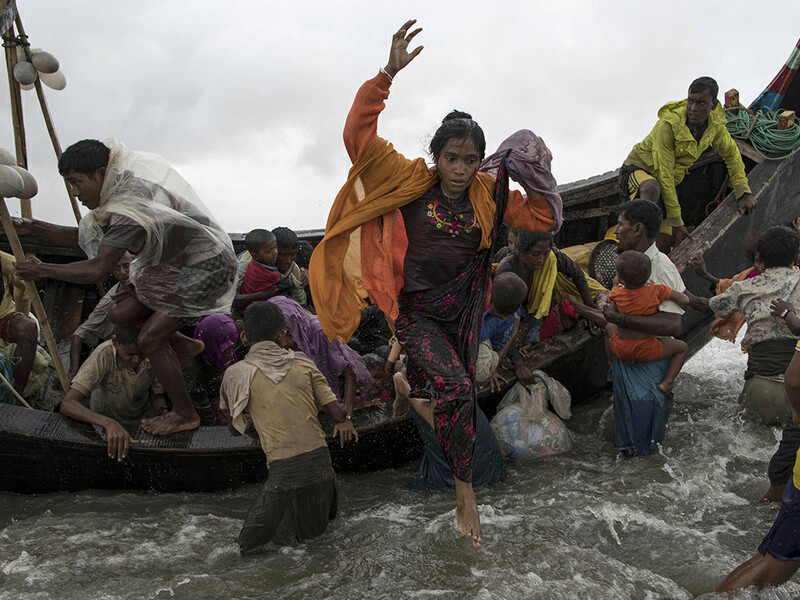 Holocaust Memorial Museum's 2015 report, “Early warning signs of Genocide in Burma," the award-winning documentaries Boat People, Journey to Hell, and Blood Jade, and the award-winning book Modeslavar. She is currently pursuing a master's degree in human rights, concentrating on policy, nationalism, mass violence, and crimes against humanity, at the Humphrey School of Public Affairs, University of Minnesota. Her research interest is in public interpretations of human rights concepts and the role of these publics in the crime against humanity in Myanmar. She was recently awarded a Fulbright scholarship, an Interdisciplinary Center for the Study of Global Change fellowship, and a Humphrey School of Public Affairs scholarship to pursue her studies in the United States. This event is organized by the Mario Einaudi Center for International Studies, the Southeast Asia Program (SEAP), and the Collective of Concerned Students on Global Issues, and cosponsored by the South Asia Program (SAP). Wheelchair accessible, assisted listening devices available. Please call with questions or special requests.